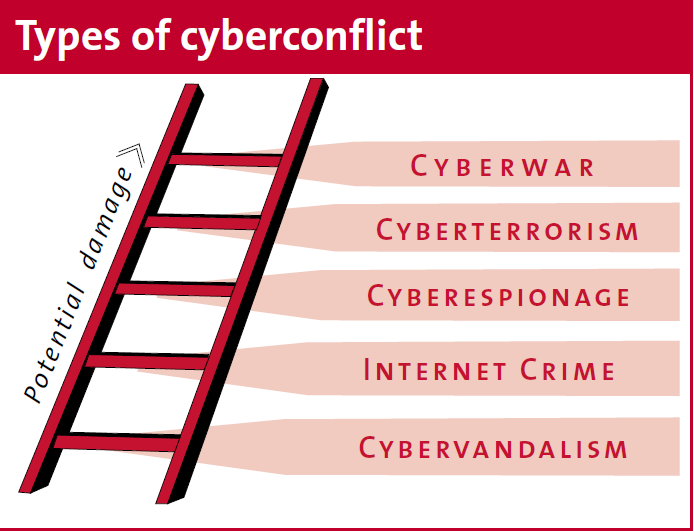 Source: Cyberwar: Concept, Status Quo, and Limitations. "... Political, economic, and military conflicts are increasingly also being carried out in cyberspace. 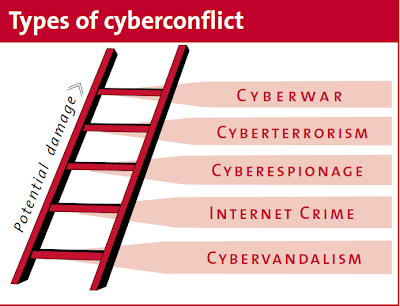 However, conceptually, the notion of “cyberwar” only includes a narrow sub-section of all conflicts in cyberspace. At the operative level, capabilities for cyberwarfare are becoming increasingly important. Nevertheless, the prospects for strategic IT wars that only take place in the virtual space remain extremely unlikely. For many states, there is a particular need for action in the area of cyberdefence ..."
A fairly reasonable i.e. non-alarmist treatment of "cyberwar"'.